By John J. Raspanti, Doghouse Boxing: Former WBC junior welterweight champion Devon Alexander won a controversial split decision over hard luck contender Lucas Matthysse at the Family Arena in St Charles, Missouri last night. The fight was action packed from the opening bell as southpaw Alexander (22-1, 13 KOs) came out very fast in the first round, peppering Matthysse (28-2, 26 KOs) with jabs and short hooks. Matthysee picked up his own pace in round two landing heavy right hands and lefts to Alexander’s a body. Alexander continued the pattern in the next couple of rounds, annoying Matthysse with his short shots but never hurting him. The heavy handed Mattysee (26 KOs) continued to stay right with Alexander, connecting with some uppercuts while always looking to land something heavier. Under a minute into the fourth round, Mattysse missed with a jab but connected with a hard right that deposited Alexander on the seat of his pants, for the first knockdown of his career. The former champion was up quickly with a smile. Matthysse tried to exploit his advantage, but Alexander fought back with some clean hooks of his own. Alexander came back to win the fifth round and maybe steal the sixth by moving and jabbing. His quicker hands and feet were allowing him to outbox Matthysse. In the seventh round, Matthysse clocked Alexander with at least a dozen right hands to the head and body. Alexander tried to fight back, but his punches had no effect on Matthysse. Rounds eight and nine were split with both fighters landing some good combinations. With one round to go, the fight was up for grabs. Alexander started the last round by jabbing, but Mattysse walked right through him and landed some thudding rights and lefts. Alexander gamely tried to counter but Matthysse was clearly the fresher and stronger fighter. His last round performance should have won him the fight. Scores were 96-93 Alexander, 96-93 Matthysse and 95-94 Alexander. This boxing scribe had Mattysse the victor 95-94. Mattyhyesse was obviously disappointed by the scoring of the judges. 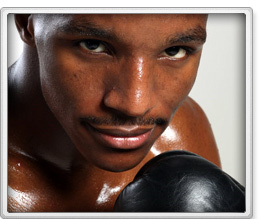 Matthysee also lost a close decison to Zab Judah last year. IBF light heavyweight champion Tavoris Cloud (23-0, 19 KOs) retained his title by stopping the clever Yusaf Mack (29-4, 17 KOs) in the eighth round. Cloud landed a left hook near the end of the eight round that hurt Mack badly. In a heavyweight eliminator Bermane Stiverne (21-1, 20 KOs) stopped old pro Ray Austin (28-6, 18 KOs) in the tenth round. The end came after Stiverne landed a right to Austin’s temple. The card was a Don King Promotion in conjunction with Golden Boy Promotions.